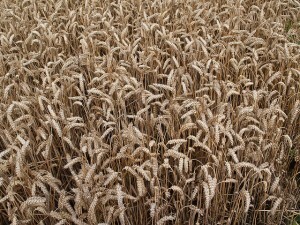 Ripening wheat in North Lincolnshire, England. Photo credit: D.H. Wright / Creative Commons 2.0. Know this that in the last days there will come perilous times. Men and women will be lovers of themselves, boastful, proud, arrogant and unrepentant. Do not be discouraged when you find yourself in difficult circumstances. The storm clouds of justice are on the horizon. All that is wrong will soon be made right. The King is returning soon and the evil lion roams about seeking whom he can devour. He knows his time is short. The roar of Satan the lion is loud and powerful. It is like the lion’s roar in the jungle that can be heard for miles around, but you must not be afraid; his roar cannot hurt you. Listen instead for the roar of the righteous Lion of Judah. He will soon be returning for his glorious bride without spot and wrinkle. You are being perfected for his return. Rejoice during the trying of your faith so that you may grow and be mature men and women of God without spot and blemish. The bridegroom will come back soon for his bride, and the wedding party will be glorious. Do not be afraid or dismayed when persecution and affliction arises for the Word’s sake. Be faithful and overcome to the end and you will receive a crown of life that goes to those who resist the devil and flee from him. Jesus says: Run away from Satan and come to me, and I will keep you free from fear, worry and doubt. Come to me and be anxious for nothing. I will meet your needs. I will provide healing and abundance. There is no lack in my camp. Look not at the ruin and destruction that is coming upon the earth. For these things must come to pass as I have spoken in my word. A purification of the earth and its inhabitants is necessary for the kingdom of peace to be established throughout the earth. Yes, my throne will be established in Jerusalem, my people are still the apple of my eye. Rejoice that you are being grafted in together with my chosen people. The wild olive branches with the cultivated branches together will produce a harvest of righteousness that will cause all those who love me to wonder and rejoice. Look to Jerusalem for her time is coming when she will see her real, true king. Do not be deceived a falling away must first come and then the Antichrist will be revealed. The Man of Perdition will seek to turn the world upside down with his changes. Nothing will be sacred. That which is sacred will be blasphemed, and a new religious order will be setup with him at the center. The false prophet will deceive many with lying signs and wonders. Be not deceived by the trials that are coming upon the world. I live inside your heart, and my kingdom is within you. So look within your heart to me, and you will find peace and rest for your weary souls. I will bless my people before I return for them. They will be a wonder and a sign to all the unbelievers who doubt and mock me. Watch for the winds of change that are coming upon all the world. These changes will precede the end. But before the end, I am looking at the harvest fields which are ripe. Millions of people will soon enter into my kingdom in a way that has never been seen before in the history of the world. The millions who will come into the kingdom will need places to worship and places to learn the things of God. Prepare yourselves for the great work of the harvest that lies ahead of you. The doors and windows of heaven are being opened even now and the blessings will begin to rain down on my people like never before. The time of the harvest is near. 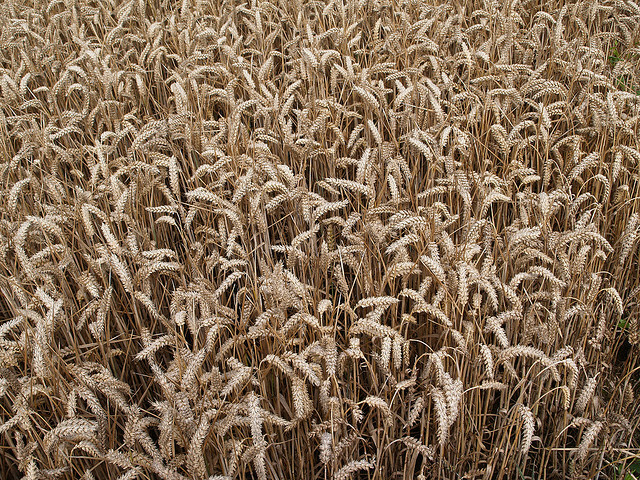 When the grain is ripe, it is ready for harvest. I have been preparing from the beginning of creation for this great harvest. My family will be enlarged and my house will be full of rejoicing and laughter. Prepare for the great harvest and then the end will come for the way of the world. Rejoice for the way of the kingdom of God will soon be established in all the earth. You will rule and reign together with me. You and I are one. Rejoice for the time of salvation for the whole world is at hand! James Strand the Publisher of Faith the Master Key to Life: Five Perspectives for Living a Life of Faith by Jerry Savelle, Dr. Frederick K.C. Price, Keith Moore and Happy Caldwell. James Strand is also the Publisher and Author of Faith for Difficult Times. Information about these and other books published by Word Catcher Press can be found on the company website: www.wordcatcher.ws. Copyright 2013 by James Strand. Permission to copy and distribute this message is freely given to believers, churches and other religious non-profit organizations for non-commercial purposes, provided credit is given. Otherwise, all rights are reserved. If you copy or use this message, a note to the publisher about how you used it would be appreciated. For additional permissions or to contact the publisher send an email to info@wordcatcher.ws.